Co host, Pasqua asks Balloue what made him pursue becoming an artist? Balloue gives his childhood to adult experiences ending with obtaining his art degree but he always dreamt of becoming an ‘Artist‘. Balloue humbly talks about his personal journey of experiences of places and people and creating his art pieces that are traditional but contemporary expressions with Cherokee culture’s use of ‘Vibrant Colors‘ in his art work. Co host, Pasqua ask who was his influences? Balloue mentions well recognized artists, Robert Bechtle, Mel Ramos and John Nieto, as his influences. Host, LeBeau asks Balloue to describe the three pieces of his artwork. All his pieces are based upon photographs he had taken in his personal journey of ife. 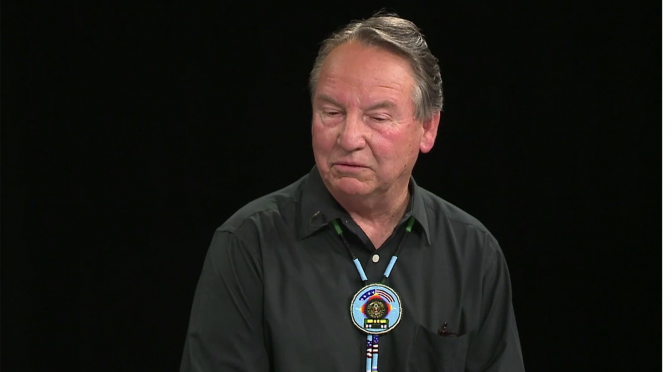 The show ends with Balloue stating his humble involvement with so many organizations and people in various communities, regions and states of Native America. Enjoy the show and please share.